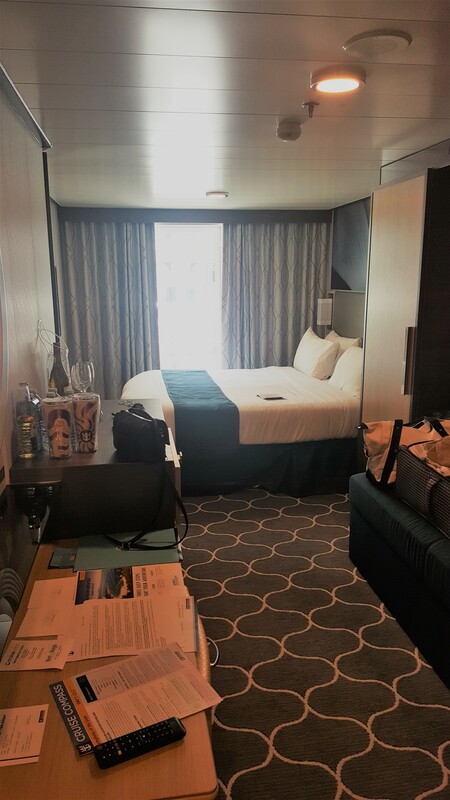 We arrived in FLL on Friday, 3/8 and Uber’d to the Courtyard Marriott / Brickell area in Miami for our stay that night before our departure the next day on RCI’s Symphony of the Seas for our Western Caribbean 7-night itinerary. This itinerary featured ports of call that included Roatan, Honduras; Costa Maya, Mexico; Cozumel, Mexico; and Nassau, Bahamas; with two days at sea. The hotel is in a convenient location in downtown Miami with reasonable rates and very good amenities. Along with their own restaurant and bar there are several very good restaurants within a short walking distance. Once checked in, we walked across the street to La Granja, for a very good and reasonably priced lunch. We then wandered about four blocks further to the Bayside Marketplace, a galleria of stores, restaurants, and entertainment bordering the Miamarina, a yacht basin across from the Port of Miami. We spent a pleasant afternoon admiring the yachts and window shopping the various stores and venues located there. That evening we met with friends, with whom we were cruising, at Jamon Iberico Pata Negra restaurant and enjoyed a wonderful Spanish influenced dinner of a variety of Paella, suckling pig, and Pata Negra ham. The next morning we took the 10AM hotel sponsored, $6 pp shuttle to our ship. Aside from some traffic congestion at the new RCI terminal, we arrived in short order and passed quickly through check in and were on board ready to start our cruise by 11:00 AM. 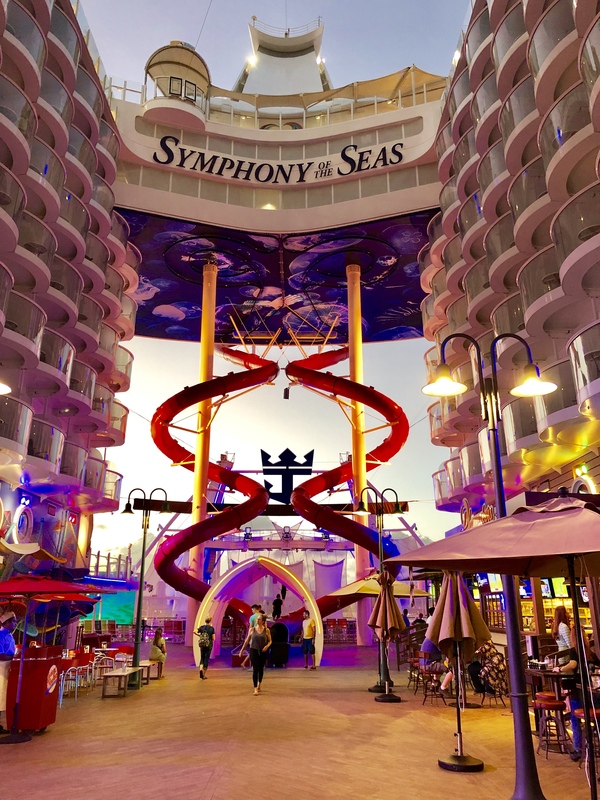 Symphony, which is the newest Oasis class ship in the RCI fleet, is magnificent. Most of the features this class of ship is known for have remained, such as the ice skating rink, the Aqua Theater, zip line, flow riders, etc. But also included are three water slides and the Ultimate Abyss tube slide, which carries its riders from deck 17 to deck 6 on a padded mat. Additionally, the Solarium pool surprisingly omitted on Harmony has been thankfully included on Symphony. 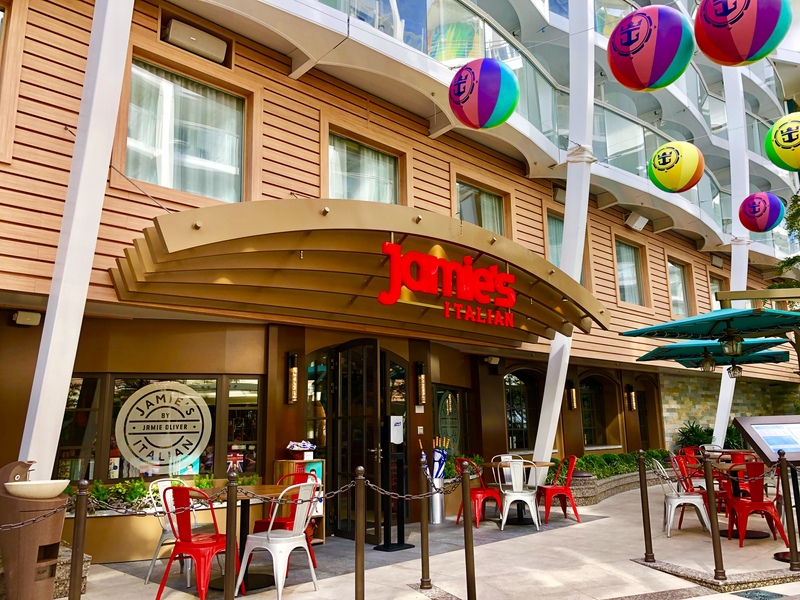 there are most of the same specialty restaurants found on other Oasis class and many other RCI ships on board including Chops Steak House, Jamie’s Italian, Izumi’s Sushi and Hibachi, and Central Park 150 (so named for its neighborhood location 150 meters from the bow of the ship). But in addition Symphony also offers Wonderland, Solarium Bistro, and Hooked Seafood. There also is Park Café, Johnny Rockets, (which along with the surcharge lunch and dinner menu offers a no charge breakfast), Boardwalk Dog House, Playmakers Sport Bar and Arcade, and El Loco Fresh Mexican (which interestingly is also the ship’s custom omelet location during breakfast). After boarding we met up with our friends at Park Café in Central Park for lunch, which for me was the popular Kimmelwich roast beef sandwich. Always a very good choice! After lunch we wandered around the ship and at one PM found our way to our Boardwalk Balcony stateroom where our luggage was already outside waiting for us. We unpacked and headed to the Schooner Bar to meet our friends for some pre sail away beverages, followed by Muster, which for us was in the MDR. That night we had dinner in Central Park 150, which was excellent, followed by a relaxing ride on the Rising Tide Bar. This was our first experience with a Boardwalk Balcony, usually opting of ocean view balconies instead. We were pleasantly surprised by the location, which provided a nice view of the activities of the Boardwalk and a partial rearward view of the ocean. The noise from the Aqua Theater in particular on the few days with evening performances, while able to be heard in muffled tones in the stateroom was always over by 11:00 PM and never bothered us. The stateroom was very nicely appointed with a contemporary motif consistent with the design of the ship in general. The closets and storage spaces have been redesigned and function well, as does the redesigned bathrooms. There are also additional outlets including on each nightstand, which is a welcome addition. After our first day at sea, which was spent exploring the ship and enjoying a relaxing day in the Solarium, we made our first port of call at Roatan. In our many travels through the Caribbean, this was our first time there. The port itself, typical of others, was relatively small and crowded in dealing with the 6,000+ passengers disembarking and passing through the shopping area on their way to their planned excursions. Those with ship based tours were led through the shops to a gathering area where the busses and other forms of transportation were awaiting them. Those with plans and tours of their own were led out of the arrival center across the street where the many private tour operators were waiting with signs identifying themselves. This area was crowded and was somewhat of an organized chaos with the many drivers and passengers seeking each other out. 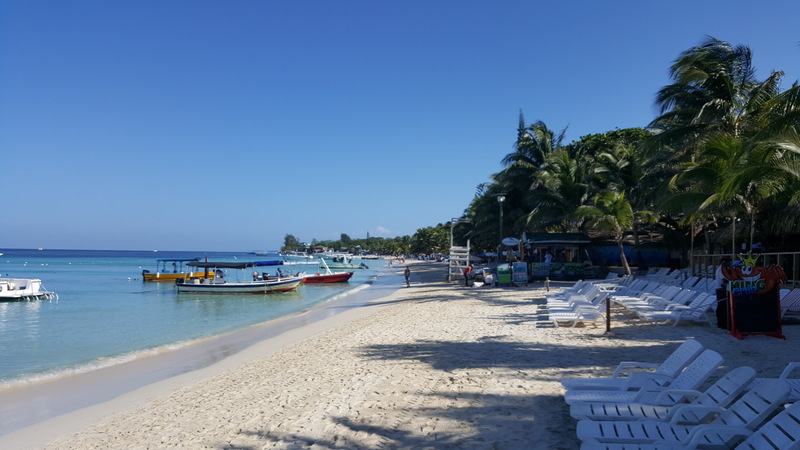 Our plans were a visit to Paradise Hotel on the west end of the island at West Bay Beach for a private beach day which included all transportation, access to the resorts’ full facilities, with their own beach and pool, lunch at their restaurant, and a drink from their bar. Our driver initially was nowhere to be found, but what we did find were local residents who were extremely friendly and all too willing to try to help coordinate everyone with their drivers. We were approached two or three different times by individuals asking if they could help us, who looked up and down through the many drivers trying to locate ours. One young man offered to call our resort on our behalf to determine the status of our pick up, which resulted in our driver, who was delayed in traffic, arriving a few minutes later to take us on the 20-30 minute drive to the resort. We were met at the resort by a very friendly and helpful staff that checked us in and showed us around the facility, ultimately taking us to their pristine beach and setting us up with lounge chairs. Lunch and the included cocktail was very good, and the service friendly and prompt. Additional drinks were available at la carte at pricing that, while somewhat high, proved to be area competitive. We enjoyed the beach as well as the pool, and found the shower and restroom facilities to be clean and well maintained. From pick up to drop off was about 6 hours and was extremely relaxing and very enjoyable – a day which we would do again without hesitation. The next port of call was Costa Maya, where we had an all-inclusive planned at Maya Chan, a resort located about 4 miles south down the coast from the cruise terminal. 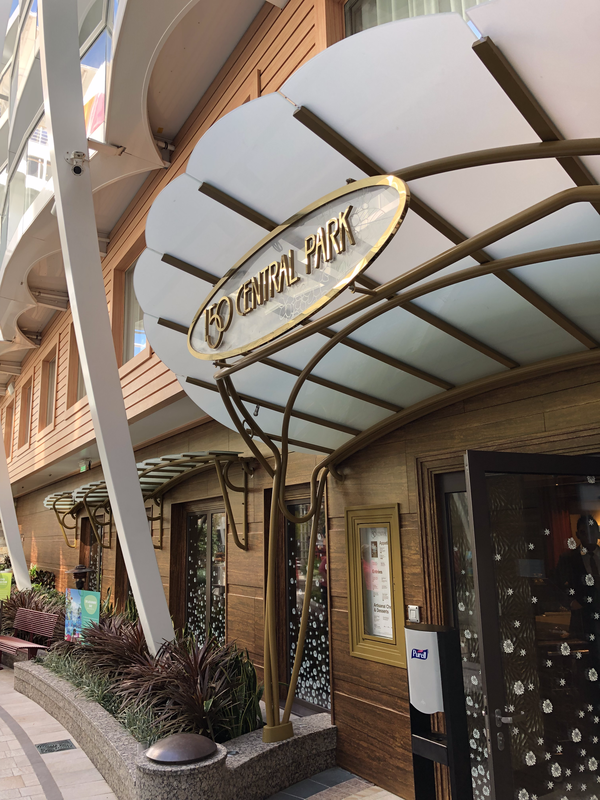 Maya Chan is owned by experienced former cruisers who wanted to develop a resort oriented towards cruisers wanting an all-inclusive experience driven by unlimited drinks, great food, and excellent service, to which they have totally succeeded. This was our third time at the resort which was once again a day that was perfect in all regards. They only accept reservations for about 100 people, each of which has a designated area assigned to them with beach chairs, a day bed, umbrella, and table, or for larger groups, cabanas that are appointed in a similar manner. A welcome drink and basket of chips and guacamole await you at your table with non-stop bar service from there. If you are in the ocean, they will bring your drinks to you there. They also feature an in ground pool as an option. Lunch is an authentic homemade Mexican menu with unlimited servings. Transportation to and from the shopping area adjacent to the pier is included in the $59 pp fare – quite a good deal. Our next port of call was Cozumel. Nothing planned here other than to wander around the pier shopping area and local stores nearby. There were a total of 8 ships in port that day between the downtown pier and the piers where we were docked. There was also a ship anchored in between tendering to our pier. The day was pleasant with a fair amount of time on board enjoying the quiet of the nearly empty ship. Our final port of call was Nassau, where after a brief time spent in town shopping for souvenirs, we again returned to the ship to spend a relaxing afternoon without the normal sea day crowds. This was a good opportunity to experience the water slides and enjoy the virtually empty Solarium hot tubs and pool. 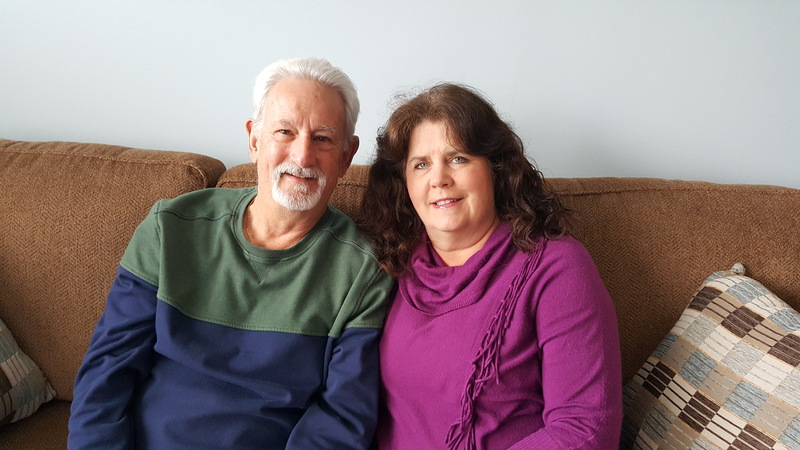 We had purchased the Ultimate Dining Package for this cruise, which provided for specialty restaurant dining each night for dinner and two specialty restaurant lunches. As a result, with the breakfast options at the Windjammer, Johnny Rockets, Solarium Bistro, and El Loco Fresh, along with the remaining lunch options at the Windjammer, Park Café, Boardwalk Dog House, El Loco Fresh, and Solarium Bistro, we never set foot in the MDR for any meal. I’m sure the food offered there was fine, but just not anything we experienced on this cruise. After our first night at Central Park 150, we continued our specialty restaurant dining each night to include Chops, Jamie’s, Wonderland, Izumi’s, and Hooked. We ended our week with a second night at Central Park 150. We chose Izumi’s and Chops for the two included lunches. All of the food was excellent with very good service. For those looking for dining experiences outside of the MDR, the Ultimate Dining Package for us was a very good value and one we would likely repeat. Alternative 3 and 5 night packages were also offered as options. On our itinerary, Hairspray was the featured Broadway production show, along with a Comedian, and the standard ship’s entertainer’s performances. But also included was a unique production offering called Flight, which is a retrospective tour of the history of flight originating with man’s walk on the moon and traveling back to the Wright Brothers first flight at Kitty Hawk. 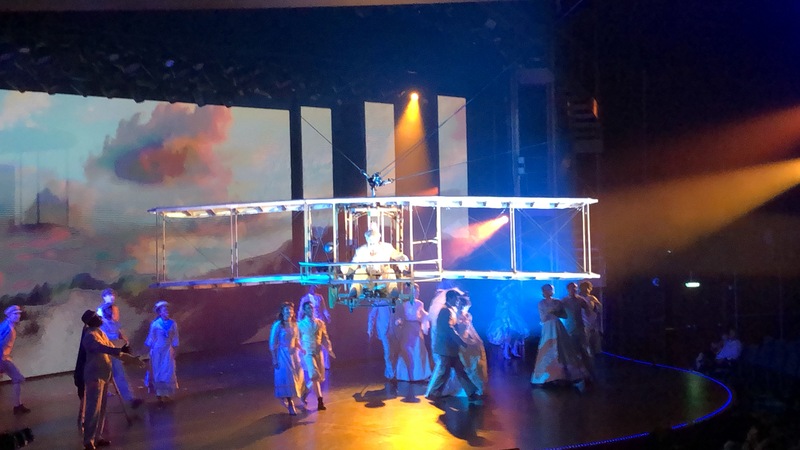 The production of this adventure was truly first class with outstanding effects and live imagery, which included a mock up of the Wright Brothers Flier with a live pilot tethered on a flight off the stage and over the audience. This was one of the best shows I’ve experience on any ship and it would not surprise me if this and other similar shows did not become an RCI mainstay on their newer launches and larger ship retrofits. The Aqua theater show was also somewhat of a step up from others as it included a high wire act over the theater area along with the anticipated high diving acts, and the water and gymnastic performances. Equally impressive was the Ice Show which also has evolved with higher end effects that included over 100 programmed drones providing a light show at the beginning, along with projected graphics on the ice floor that added to the show scenery. RCI has definitely stepped up their game on this ship with the entertainment. The staff on board was extremely pleasant and helpful, which reflects well on RCI and their recently introduced ship. We had a very enjoyable cruise as a result and would recommend Symphony to anyone looking to experience one of RCI’s Oasis class ships.